As we wrap up 2016, let’s take a look back at our most popular posts. Where did you go? Not far, it turns out. Seventy-eight percent of NYSLRS retirees and beneficiaries stay in New York State. However, the rest have made homes around the country and even around the world. Work is work, and credit is credit. But, if you work part-time, there’s some math involved. We helped members crunch the numbers. It’s all about becoming vested, earning enough service credit to qualify for a pension benefit — even if you leave public employment. 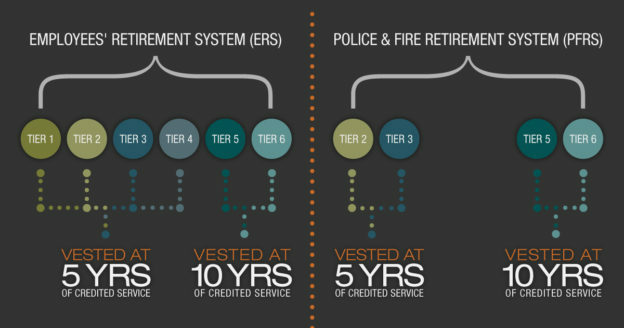 We went through the ins and outs of becoming vested for members of both the Employees’ Retirement System (ERS) and the Police and Fire Retirement System (PFRS). Even if you leave public employment, you’re still a NYSLRS member. We gave members a rundown on their options and how their benefits may change after moving to private employment before retirement. You won’t need to pay New York State or local taxes on your NYSLRS retirement benefit, but other states and federal income tax are another matter. We gave members and retirees some insight into federal tax withholding and the 1099-R form. Once you’ve earned the service credit, it’s time to get ready for retirement. We gave members a six-item checklist to make sure they’ve laid the groundwork for a smooth application process. We looked at the death benefit that Tier 2, 3, 4, 5 and 6 ERS members in regular plans receive. A solid lead up to retirement is essential, but picking the right retirement date is important too. We gave members some tips about when to submit their applications, how to pick a date and what their first benefit payments will look like. 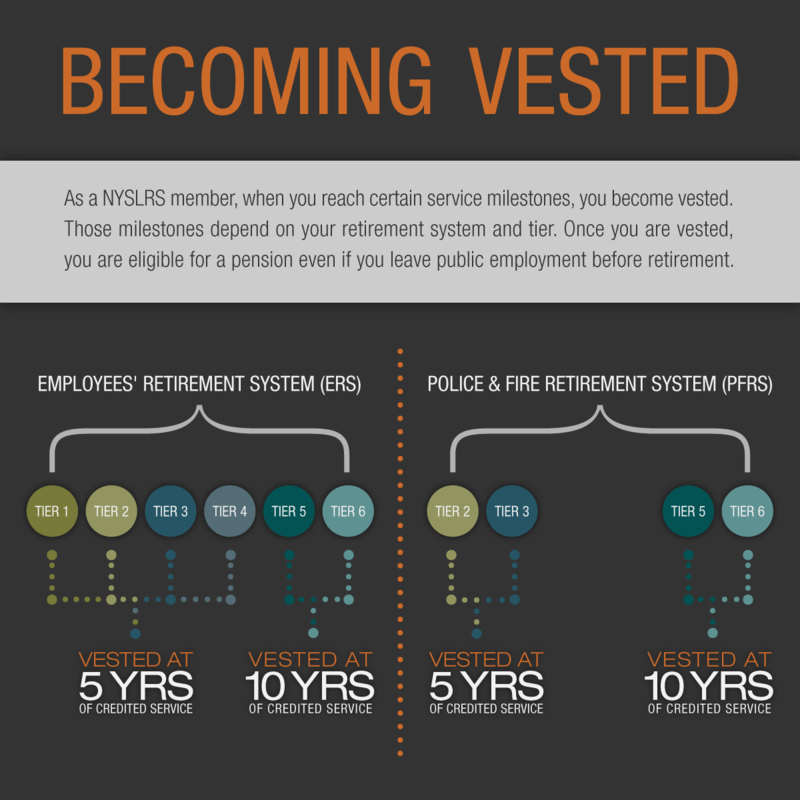 NYSLRS members are spread out over two systems, six tiers and 346 retirement plan combinations. It can be easy for information to get jumbled between coworkers and between plans. So, we cleared up some common misconceptions we’ve heard from members and retirees over the years. This is an entry in our Retirement Myths series. The better you understand your road to retirement, the better you can plan for it. We took a look at the journey for Tier 3 and 4 ERS members and pointed out several retirement benefit milestones they’ll pass along the way. We also took a look at Tier 5 and Tier 6 member milestone, too. Content last revised December 28, 2016. This entry was posted in General News, Members, Retirees and tagged 2016, benefits, Death Benefits, ERS, Information is the Key, know your benefits, members, Milestones, Most popular posts, New York State & Local Retirement System, NYSLRS, NYSLRS beneficiaries, NYSLRS Members, NYSLRS Retirees, PFRS, Planning, Preparing to Retire, Public Employment, public pension system, Retirees, retirement planning, retirement security, Service credit, Top 10, Top 10 Blog Posts on December 28, 2016 by NYSLRS.